Java’s ImageIO package (built in) does not support Tiff file decoding. So either you need JAI plugin or other third party libraries to convert these files into buffered images. Support for Tiff images in both is not complete. 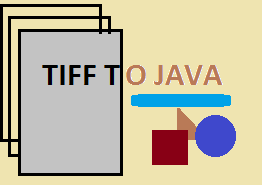 The third party Java libraries support only a subset of the Tiff files. (example tiling, separated planar, jpeg compression, multi page). So we decided to provide Tiff encoding and decoding support in JDeli (a complete Tiff Converter solution for developers). The Tiff file format is actually a whole collection of possible settings. Here is the full list which JDeli supports. Jpeg Technote 2 ( please note: old-style jpeg compression support is not added the reason can be found here). I hope you may find it useful and make use of the features in the JDeli Image Library. JDeli can read and write a very wide range of image formats. Here is the full list on Image file conversions supported. We have also created a useful how to series on how to read and write various Image formats. « Microsoft Edge – Is it Good enough for Web Developers? I want to get the bit depth of tiff file. i tried through Apache TIKA but able to get only the mime type. Getting the bit depth is something that we could add to our image library, JDeli. If you are interested in purchasing JDeli you can find out more here.